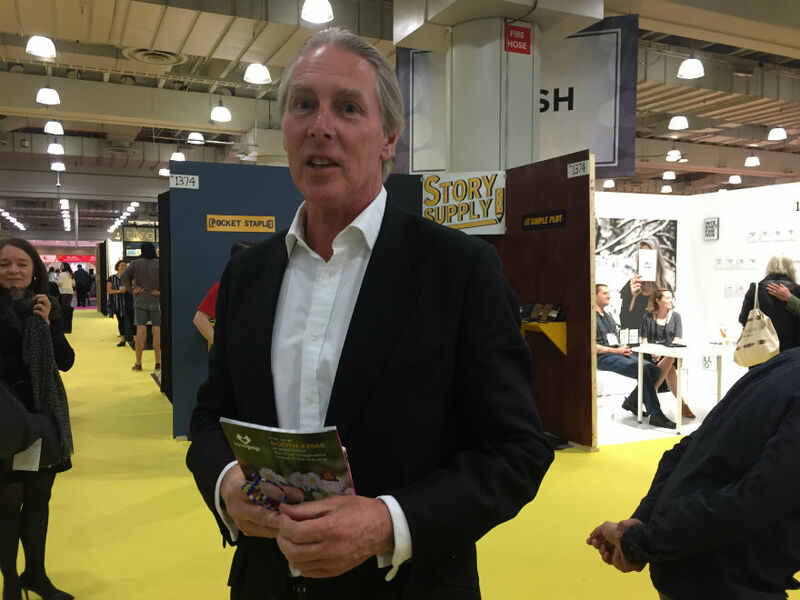 By the time it closes tonight, the National Stationery Show in New York is expected to have attracted over 10,000 buyers from 70 countries around the world visiting 750 exhibitors. 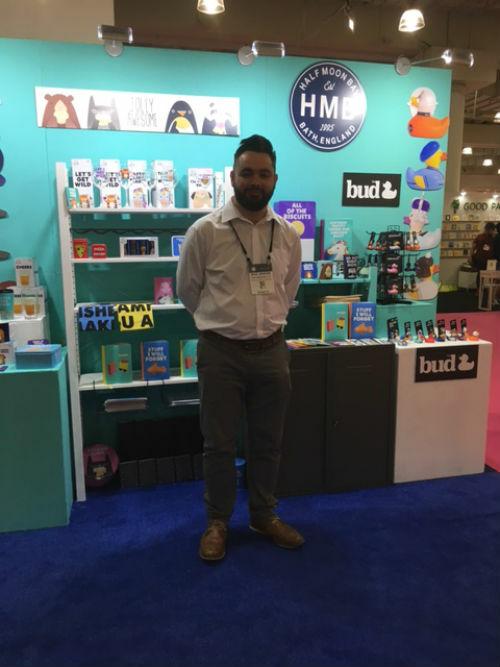 Among a host of UK visitors to the show was the Paperchase team as well as owners and execs from UK publishers Paper Salad, Five Dollar Shake, Lagom Design and Paperlink. Among the UK brands exhibiting in their own right, included Counting Stars (sibling to Five Dollar Shake), Half Moon Bay, Imogen Owen, Ohh Deer, Old English Company, Paperboy, Portico Designs and Vivid Wrap. In addition many other UK brands were featured on stands of their US distributors, notably on the Notes and Queries and Calypso stands. There was also good news last night as there were some British winners at the Louie Awards, the US equivalent of The Henries. 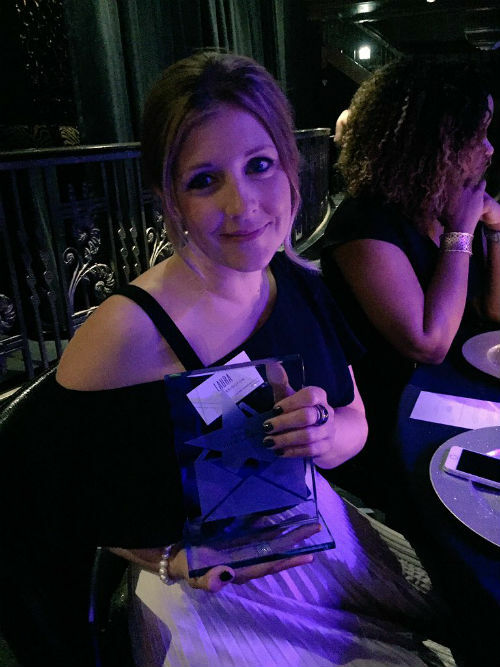 Laura Darrington, who had travelled from her home in Leicestershire to attend, won a Louie award for the Best Christmas Seasonal Card $4 and below, while Ohh Deer (who will be making its PG Live debut in two weeks), won the award for both Christmas/Seasonal Humorous $4 dollars and below, and Valentine’s Day $4 and below. Meanwhile, running alongside NSS is its sister exhibition for art and design licensing, Surtex. Greeting card publisher Jessica Hogarth (founder of Jessica Hogarth Designs) was exhibiting with fellow designer Jules McKeown under their Pattern Social brand while there were many other UK artists and licensing houses showing their wares, such as The Bright Agency (who are also showing at PG Live), Lemon Ribbon and MGL Licensing. 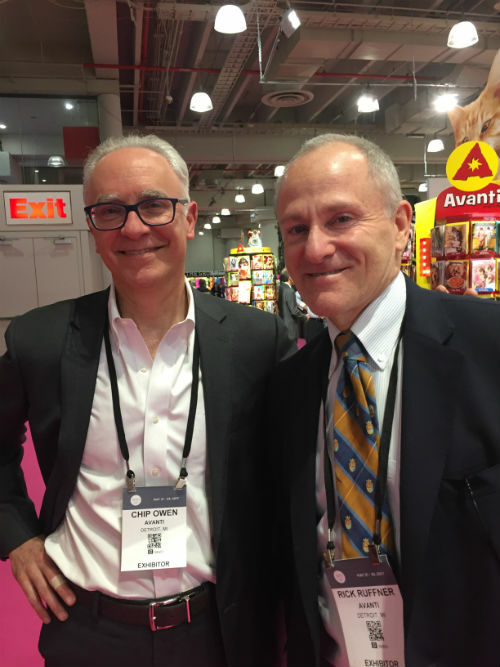 Paperchase’s ceo Timothy Melgund was there with several members of the retailer’s buying team. 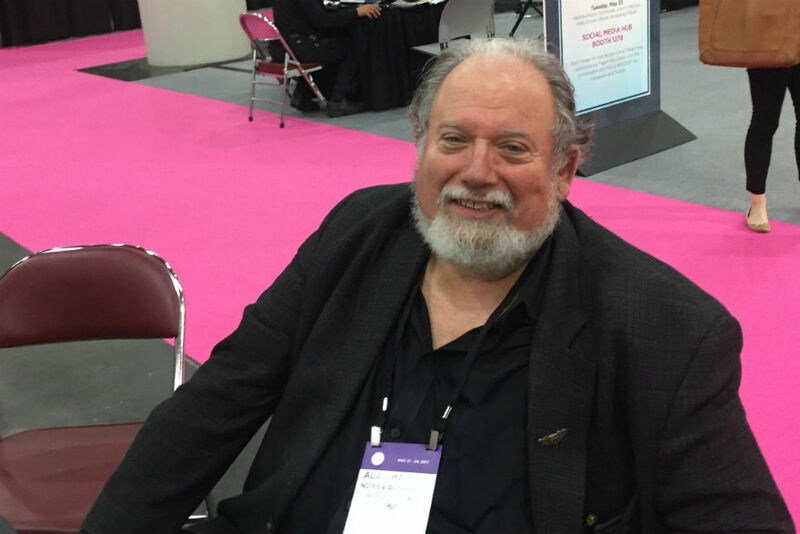 Alan Harnik, president of Notes & Queries which distributes many UK card publishers’ ranges. Rick Ruffner and Chip Owen, directors of Avanti (which is distributed in the UK by GBCC). Laura Darrington with her Louie award. 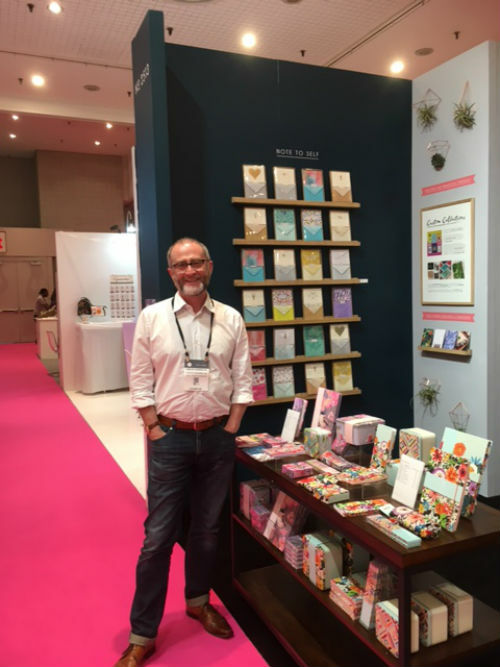 Simon Harrison, founder of Portico Designs on the publisher’s stand that was showing its latest stationery ranges. 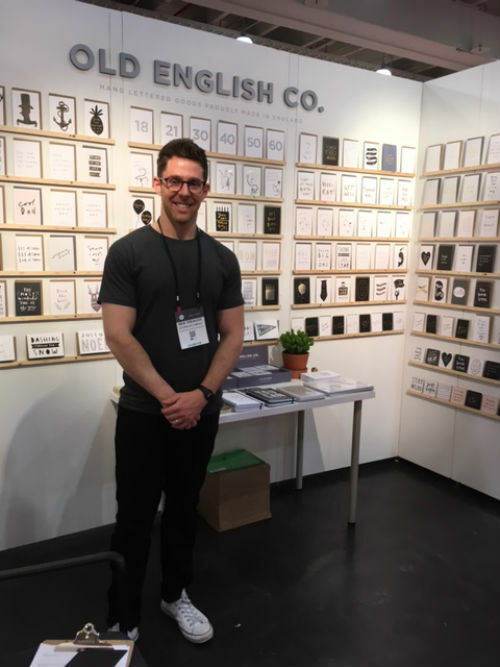 Old English Co’s Ben Treanor, a first time exhibitor at NSS. Nick Jenkins from Half Moon Bay, enjoying his first time at the show. 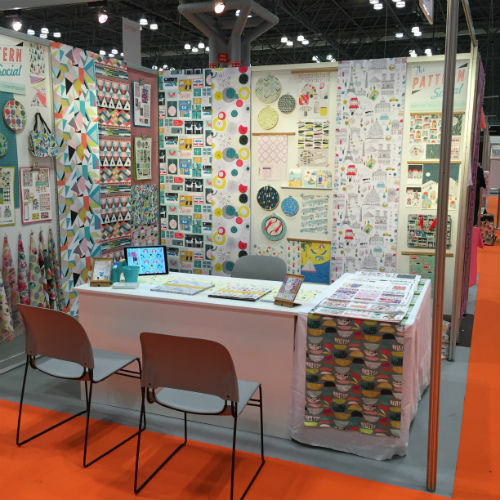 Jessica Hogarth (of Jessica Hogarth Design) exhibited at Surtex under The Pattern Social.